Bamboos are grasses from the Poaceae family and Bambousoideae subfamily, which has countless species! Bamboos appreciate moist, well drained soils. 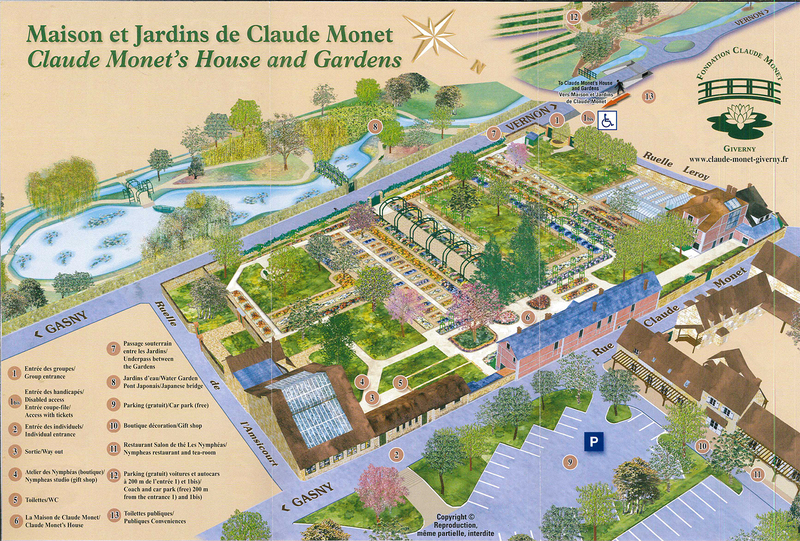 In 1893, Claude Monet began to design his water garden. He looked for inspiration from his Japanese engravings collection. His sensibility led him to choose Asian varieties, such as Japan peonies, wisteria and bamboos. In 1906, Alice related in her correspondence that Monet had started to plant tall bamboos which he would not leave. A few years later, Georges Truffaut wrote: “These bamboos have become real trees of 7 to 8 meters high and form a dense wood in which the painter has preserved excellent perspectives. 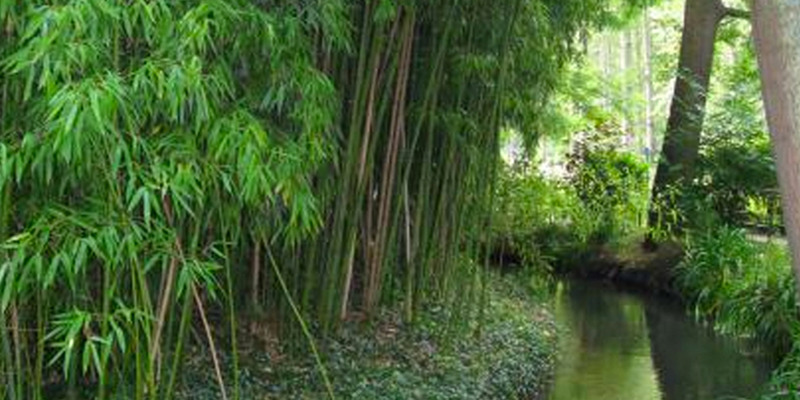 Monet’s bamboo plantation is situated on the little isle at the entrance of the water garden. Very rarely bamboos flower and dry out after blooming, as witnessed by the Giverny gardeners a few years ago. We admit that each species of bamboo blooms and dies worldwide at the same time, to give birth to a new generation of young bamboos.